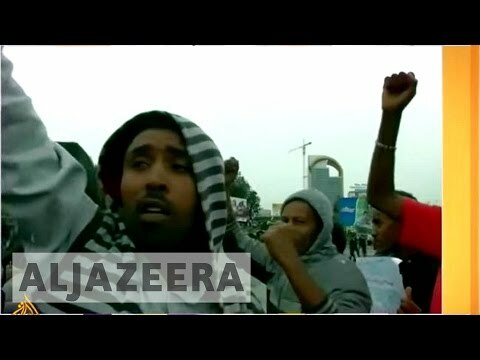 (Video) What is Triggering Ethiopia's Unrest? Calls for an international investigation in Ethiopia have surfaced after more than 100 people were killed in demonstrations.It is a conflict that has led to 500 deaths since November, 100 of them in the last week alone, according to human rights groups. The Ethiopian government is cracking down on ethnic Oromos and Amharas, who are calling for political reforms.Human rights groups have called the response ruthless. And the United Nations wants to send international observers to investigate. Ethiopia has denied that request, saying it alone is responsible for the security of its citizens. But what can be done to ensure the Ethiopian government respects human rights? Guests: Getachew Reda - Ethiopian communications affairs minister. Felix Horne - Ethiopia reseracher for Human Rights Watch. Ezekiel Gebissa - Profesor of History and African studies at Kettering University.